Over the past few years, more information has become available concerning the potential risks to the brain from playing football. Parents are increasingly worried that their children might be at risk for significant brain injury, even in youth football leagues. A new study published in the journal Translational Psychiatry regarding young football players addresses this concern, and parents of children interested in playing football may want to take particular note of this study. The studies were conducted at UT Southwestern Medical Center in Dallas, Texas, and Wake Forest University in Winston-Salem, North Carolina. Children ages nine to 17 were fitted with special helmets equipped with a Head Impact Telemetry System (HITS) with sensors to measure the magnitude and location of head impacts. Among the participants were children both with and without a history of concussion. Throughout an entire season of play, the HITS system collected the impact data, which was analyzed to calculate the risk of concussion for each player. Before and after the season, each child in the study had an MRI scan to take a picture of the brain enabling researchers to see any changes in brain structures between the beginning and the end of the football season. The study found changes in the area of the brain known as the default mode network (DMN). This area is responsible for behavior when your mind is wandering and also processes emotions. Changes were not only observed in children who had suffered a concussion, but also in children who had no concussion symptoms throughout the season. While even players without a concussion had changes in this area of the brain, those players who had suffered at least one concussion in the past had even greater changes. Among 20 high school aged children in the study, five had received a concussion at some point in the past. Those players with a history of concussion showed significantly lower connectivity in the DMN region of the brain than those who had no history of concussion. The default mode network exists deep in the brain. Abnormalities in this area of the brain are often associated with autism and patients with Alzheimer’s disease. Additionally, patients with damage in this area are prone to depression and difficulty processing and regulating emotions. The results of this study suggest that even low-level impacts can have a significant effect on brain health. Students who exhibited no symptoms of having sustained a concussion, or a high-impact to the head, nevertheless showed changes in the DMN, suggesting that even otherwise healthy players may accumulate damage over time. The damage done to the DMN area of the brain is irreversible and can severely impact a person’s ability to function. The evidence continues to grow that repeated head trauma is responsible for brain damage, and playing football is inherently risky for brain health. While more studies are still needed, parents have more reason to be concerned for their children’s health while playing football than ever before. If you are worried your child may have suffered brain injuries as a result of youth football, contact our Fort Lauderdale personal injury firm today. 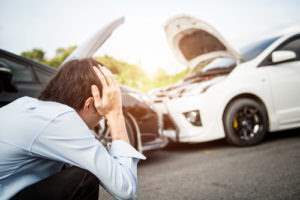 Chalik & Chalik Law Offices can answer your questions regarding traumatic brain injuries and have helped families cope with the aftermath of these incidents.